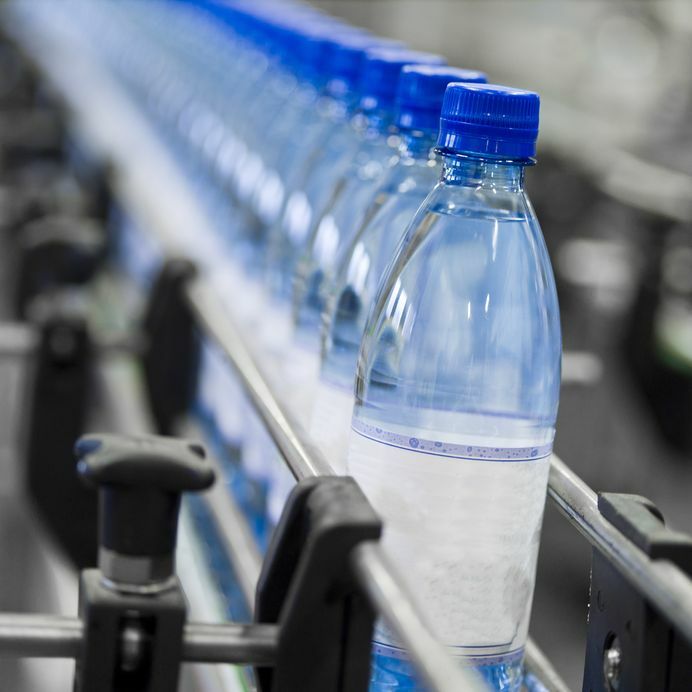 Bisphenol A (BPA) is a widely studied typical endocrine-disrupting chemical, and one of the major new issues is the safe replacement of this commonly used compound. Bisphenol S (BPS) and bisphenol F (BPF) are already or are planned to be used as BPA alternatives. With the use of a culture system that we developed (fetal testis assay [FeTA]), we previously showed that 10 nmol/L BPA reduces basal testosterone secretion of human fetal testis explants and that the susceptibility to BPA is at least 100-fold lower in rat and mouse fetal testes. Here, we show that addition of LH in the FeTA system considerably enhances BPA minimum effective concentration in mouse and human but not in rat fetal testes. Then, using the FeTA system without LH (the experimental conditions in which mouse and human fetal testes are most sensitive to BPA), we found that, as for BPA, 10 nmol/L BPS or BPF is sufficient to decrease basal testosterone secretion by human fetal testes with often nonmonotonic dose-response curves. In fetal mouse testes, the dose-response curves were mostly monotonic and the minimum effective concentrations were 1,000 nmol/L for BPA and BPF and 100 nmol/L for BPS. Finally, 10,000 nmol/L BPA, BPS, or BPF reduced Insl3 expression in cultured mouse fetal testes. This is the first report describing BPS and BPF adverse effects on a physiologic function in humans and rodents. Genistein: This phytocompound, found in physiologicallly significant concentrations in soy, red clover and coffee, is capable of reducing the adverse effect of bisphenol A exposure. Read Studies. Alpha Lipoic Acid: This compound commonly found in health food stores has been found to mitigate bisphenol A-induced testicular toxicity. Read Study. Probiotics: The beneficial bacterial strains Bifidobacterium breve and Lactobacillus casei reduce the intestinal absorption of bisphenol A. Read Study. Folic Acid: This vitamin (albeit synthetic; choose folate whenever possible), has been found to attenuate the adverse epigenetic effects of bisphenol A, such as hypomethylation of DNA. Read Study. Black Tea: This natural herbal compound reduces the adverse effects of bisphenol A on cells. Read Study. Kimchi Probiotics: A bacterial strain in this fermented cabbage extract has been found to degrade bisphenol A. Read Study. Clearly, the best case scenario is avoiding exposure to bisphenols whenever possible. However, simply accepting a thermal receipt at a purchase, or consuming a meal whose ingredients derive from canned foods, makes avoidance a very difficult proposition. We hope that this research will foment a movement to pressure manufacturers and regulators to clamp down on the use of bisphenols. Tagged BPA, breast cancer, plastic, prostate cancer, water bottles. Bookmark the permalink.